Opening a business is tough. Sustaining its success can be just as challenging. Over the last eight weeks, representatives from the area near the university took part in the USC Popular Community Bank Small Business Leadership Forum. The owners attended weekend classes covering the fundamentals of business management, strategic business planning, access to capital, venture capital funding, marketing and digital operations. The goal: to refine business skill sets while capitalizing on networking opportunities. Instructors for the forum included faculty and graduate students from the USC Marshall School of Business, the USC Gould School of Law, the USC Annenberg School for Communication and Journalism and the USC Viterbi School of Engineering. Also participating were the Southern California Minority Development Council, the U.S. Small Business Administration and Popular Community Bank employees. Price, whose council district includes USC, LA Live, the Los Angeles Convention Center, the Memorial Coliseum and Expo Park, encouraged owners to use the district’s business center, which provides technical assistance, resources and access to business affiliates, including USC. For Gabi Barbarena, president and CEO of the marketing firm ARAS Inc., the value of attending the leadership forum was gaining insight into industries. 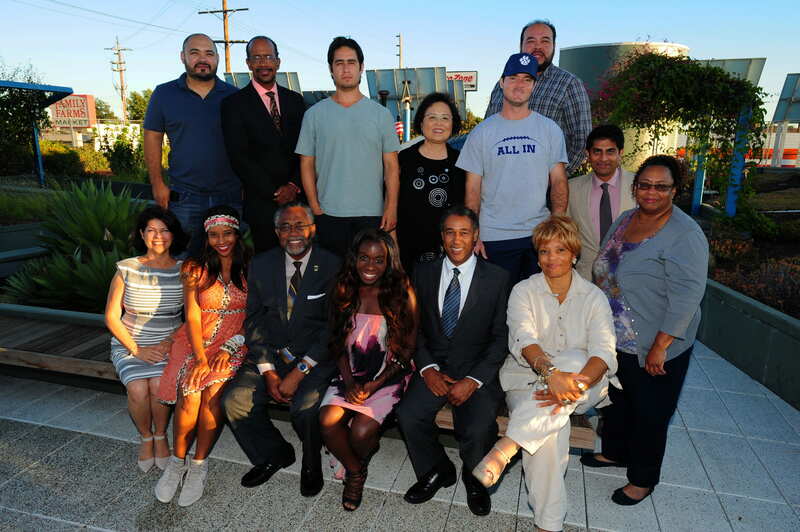 Among the leadership forum participants, is smaller group dedicated to ignite and sustain economic development in South Los Angeles by establishing a Business Improvement District along Central Avenue, also known as the historic jazz corridor, and focused on its revitalization efforts with non-profits and Councilman Curren Price behind them. Jennifer Renshaw Janco & Winnex Inc.
James Abbott Jr. Realty Advisory Group, Inc.